The National Australia Bank has announced it will sell 55 per cent of its asset consulting business JANA in a management buyout. 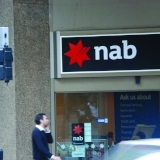 NAB has announced it will sell a majority interest in JANA to the company's senior management. The MLC Implemented Consulting and JANA businesses merged in February 2012, and JANA and MLC Investment have been operating under the JANA brand since April 2014. Announcing today's decision to exit a majority stake in the asset consulting business, NAB Asset Management executive general manager Garry Mulcahy said "this transition will mark an important evolution for both NAB Asset Management and JANA". "As both businesses enter their next phases of growth, we believe the time is right for a new way forward to focus on our respective competitive strengths – NAB Asset Management as a global asset management business, and JANA as an industry-leading asset consulting firm," Mr Mulcahy said. The proposed transaction is expected to be completed in September 2017.